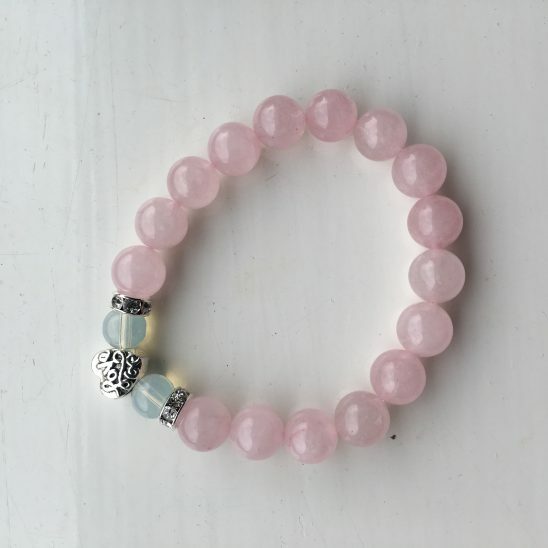 This bracelet is made from 10mm natural crystal stones with a Tibetan Silver style feature bead. 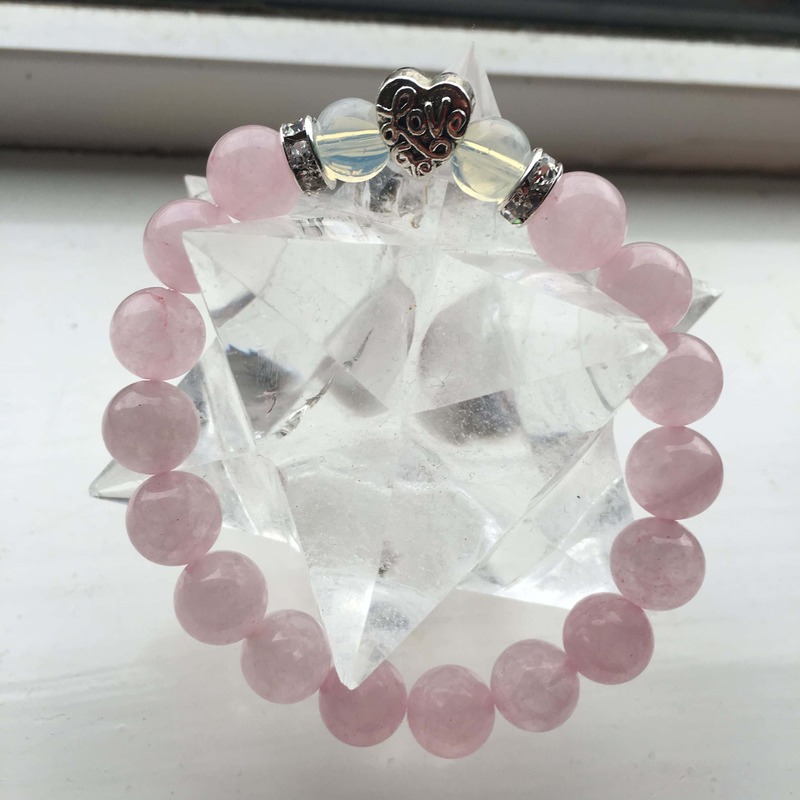 The bracelet is filled with healing energy from Abby. This is the Queen of Self-Love, so it has powerful compassion and love, and is a beautiful support if you find yourself feeling low, or needing some nurturing. 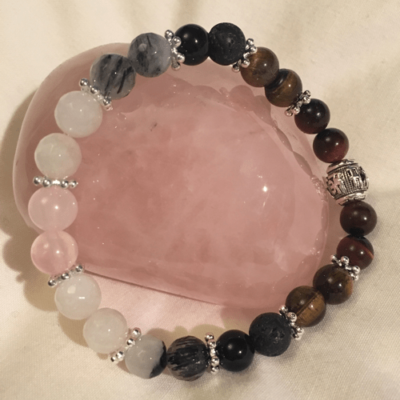 The intention behind this bracelet is to help the wearer connect to a nurturing self-love. 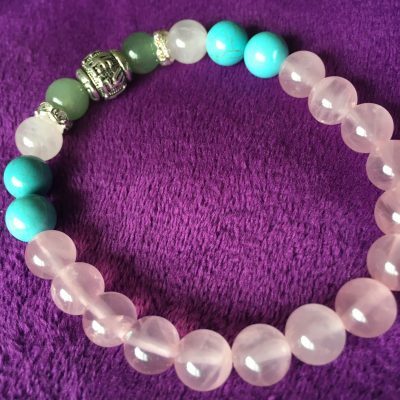 This bracelet is made to order so it may look slightly different to the one that you see in the images. 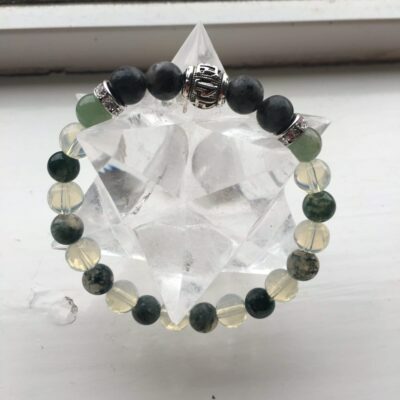 The intention behind this bracelet is to help you reconnect to yourself and give you the nurturing love that you need. This is the “Queen” of self-love, if you are not ready for her perhaps try my “Gentle Self-Compassion” bracelet instead. 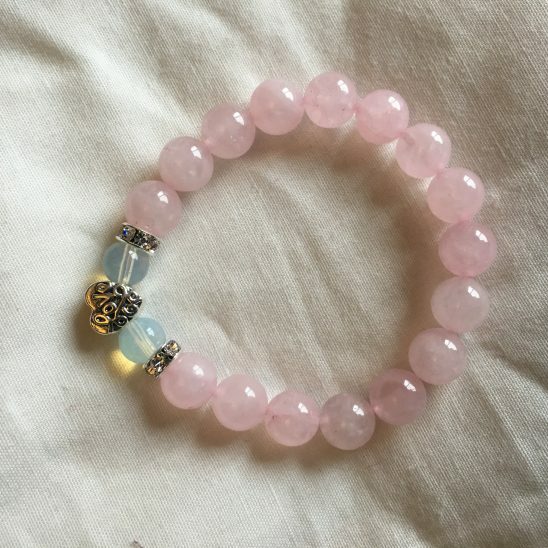 I love this bracelet!!! Thank you thank you!! As soon as I got my bracelet I put it on and I’ve not taken it off. It reminds me to love myself more, it’s so beautiful and feels so good – Thank you thank you! !